Special Promotions. 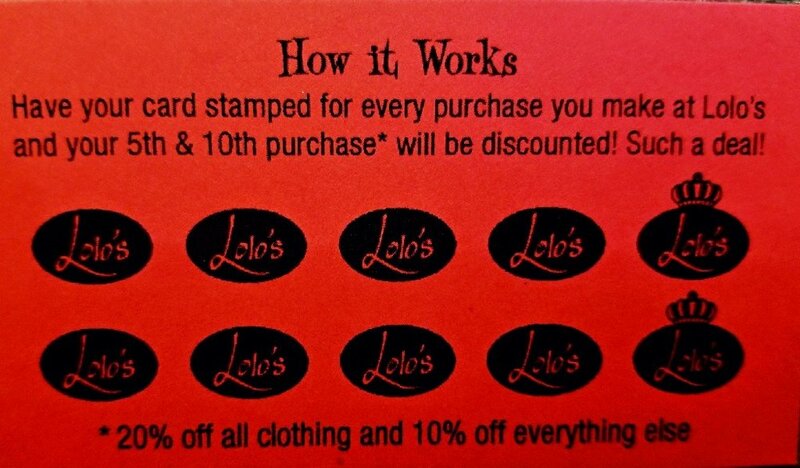 On an ongoing basis, we offer and reward our wonderful customers with our Lolo’s Discount card. After four purchases or in increments of $20, we offer 20% discount on regular priced clothing, shoes and jewelry and 10% off regular priced Furniture and housewares.